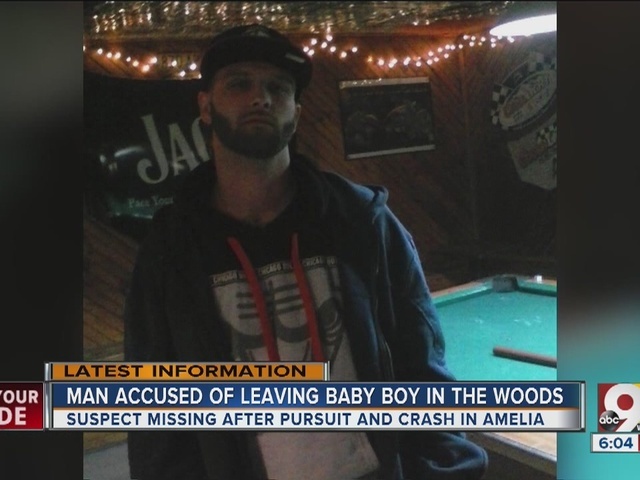 AMELIA, Ohio -- Jack Combs said he was working at Grammas Pizza last weekend when Preston Denney and Samantha Taylor ran through the parking lot. Taylor was driving a car involved in a pursuit Saturday, according to the Pierce Township Police Department, and Denney was a passenger. After police ended the chase, the police department said Taylor got into a crash at state Route 125 and state Route 132. Combs said the next few moments went fast: Police caught up with Taylor, he said, but Denney kept running, carrying Taylor's baby in a car seat. The pizza shop employee said he ran out the back door and watched Denney go into some woods. Moments later, he said, he heard the car seat drop to the ground. 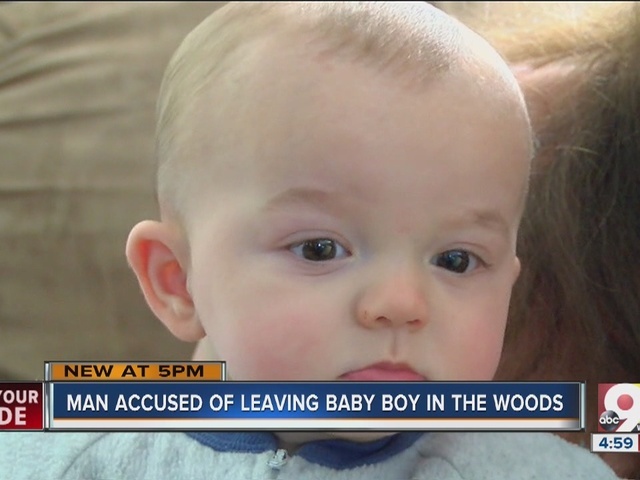 "He abandoned the baby and just took off -- kept running, top speed," Combs said. At first, he said he was in shock. But his only thought was to get the child. "I wasn't thinking, I was reacting. There is no time for thought at that point. You do what you think is right and hope it's right and that's all you got," he said. Combs took the baby inside the pizza shop until medics arrived. The 10-month-old child is being cared for by his great-grandmother, Wanda Love. "I just get mad when I think about it... just makes me want to get a hold of him [Denney], but what can you do," Love said. Taylor, 27, appeared in court Monday and faces charges of obstruction, fleeing from police, child endangerment and multiple traffic violations. She is being held on a $200,000 bond. Pierce Township believe Denney was picked up from the Pierce Township Wal-Mart after he ran, according to the department's Facebook page. He may now be in the Felicity area, police said. Anyone with information on Denney's whereabouts should call the Amelia Police Department at 513-752-1230 or the Clermont County Communications Center at 513-732-2231.